In A Broken War Ravaged World–“Where Is Humanity?” – I Am Not Ashamed Of The Gospel Of Christ! 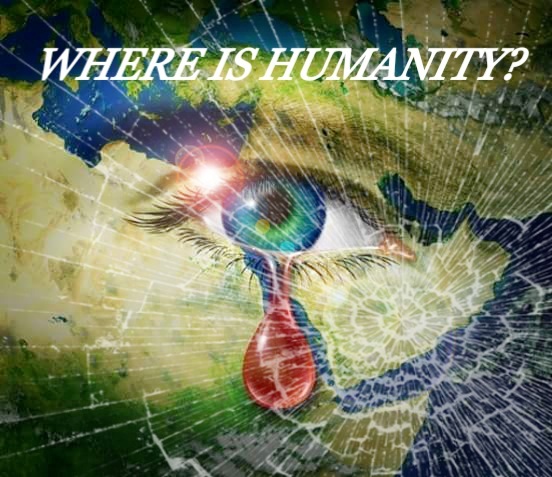 Where is humanity? A representative of the UNHCR (Melissa Fleming) asked that question today in a Facebook post. What caught my eye though was her image she shared. It was an image of rubble from bombing in Aleppo Syria. It captioned “mother cradling infant with her son laying next to her frozen in the rubble. Killed last night. 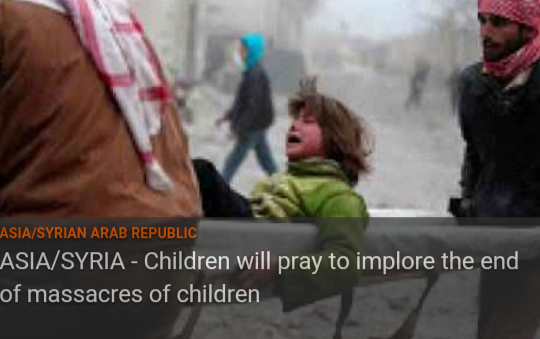 It came after the Fides report that the innocent school children of Aleppo were planning to pray on October 6th. They Pray for the massacre of children to end. Even pledging a petition to world leaders complete with their little fingerprints. These precious children along with all the children in war ravaged areas across Africa to the East have looked into the bowels of hell straight into the face of satan. Their vulnerable minds witnessing horror and evils that even a seasoned war veteran would have lasting effects from. In a propaganda world of Western leaders I say enough. We know what your doing in secret. We know the world is more dangerous than ever and it’s “reeling like a drunkard.” These precious children and innocents are not collateral damage in your proxies wars. Wake up America! I couldn’t stand the image of the mother and her children, so I commented on the UNHCR site with a cry for God to intervene, and pleas to speak out and share. I was immediately met with a hate filled response by someone from another country, he said America is to blame for this with all of the failed foreign policies and proxies wars. You know, I could not defend that. I could only state that many Americans were aware of those failed policies and proxies wars. We are not ignorant even though our government would prefer that we were. I said many are speaking out while we still have freedom to speak. But his words cut straight to my heart. I blame world leaders for turning a blind eye while seeking after greed, power and control. God is watching. I blame western Christians and churchs for turning a blind eye to this suffering and crime against humanity. I do blame those in power in America. Obama with Hillary Cinton and John Kerry have committed dark deeds under the cover of darkness than any other. Not only in foreign policy but in domestic as well, abortion, tearing down of marriage as God intended, promoting other Gods and denying the very God that blessed this country. And the church has rolled over and even aided this in some instances. Talk about shameful! Wake up America! God’s word says wake up and arise from the dead you sleeper! Exposed they will be before God! Prayer warriors stand up and pray up for these children and all war torn areas. AMEN SISTER! LORD GOD help us as we witness such great lies being put forth to cause so much death and suffering. Heavenly FATHER, help the innocent in the path of these accursed War Machines, no matter what lousy flag they fly. LORD GOD help the Little Ones, young and old. Grant them your Light+. In The Name of JESUS/YESHUA MESSIAH+ we pray.